Many of these issues are important to private safety-net hospitals. Administration Moving Away From Value Pay? First, new Medicare programs for lump-sums payments for cardiac care and joint replacements were scaled back. Then, additional doctors were exempted from a new payment system that would have paid them more for the results they produce than for the quantity of care they provide. Next, the Department of Health and Human Services presented a document outlining a new direction for its Center for Medicare and Medicaid Innovation. 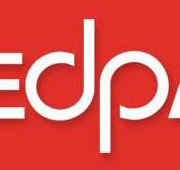 And it announced that it was seeking input from doctors on payment policy. All suggest that if the Trump administration is not moving away for paying for quality rather than quantity it is at least considering pursuing value in different ways. What ways? A recent article in the New York Times looked at these recent changes and presented the views of experts on where the administration may be going with Medicare payment policy. Go here to see that article. https://safetynetalliance.org/wp-content/uploads/2018/09/nasnh-logo.png 0 0 NASNH Administrator https://safetynetalliance.org/wp-content/uploads/2018/09/nasnh-logo.png NASNH Administrator2017-11-15 06:00:002018-11-30 22:10:55Administration Moving Away From Value Pay? 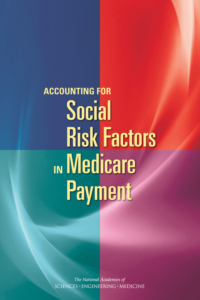 In the new book Accounting for Social Risk Factors in Medicare Payment, the National Academies of Sciences, Engineering, and Medicine addresses the question of what social risk factors might be worth considering in Medicare value-based payment programs and how those risk factors might be reflected in value-based payments. NAUH has long advocated appropriate consideration in Medicare payment policies of the special challenges poses by the patients and communities served by private safety-net hospitals. Learn more about social risk factors and their potential role in Medicare value-based payment policy in the new book Accounting for Social Risk Factors in Medicare Payment, which can be downloaded free of charge here, from the web site of the National Academies of Sciences, Engineering, and Medicine.